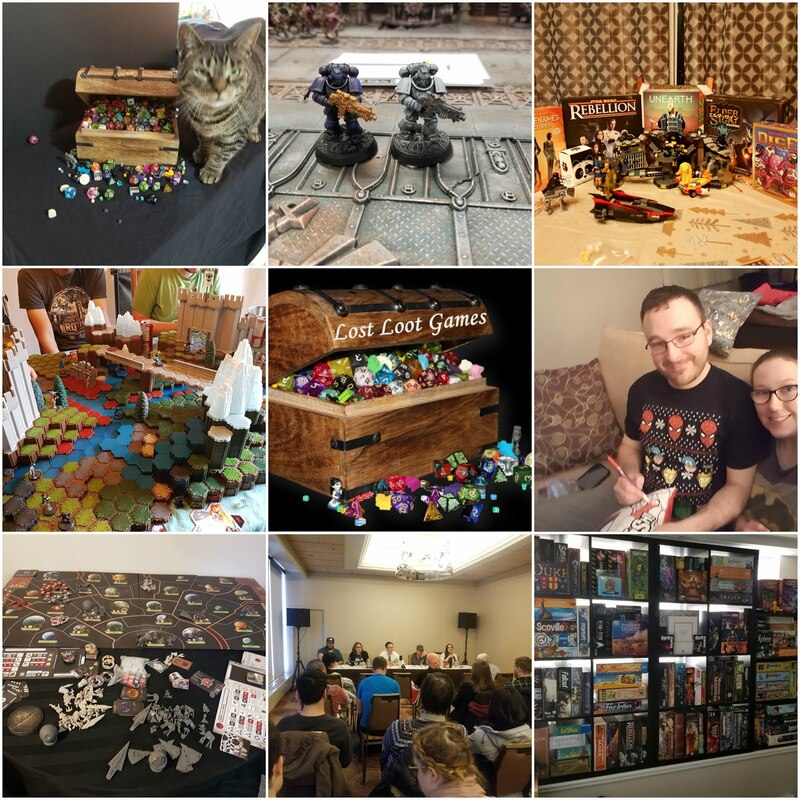 Lost Loot Games was established in 2017, as a way for Cody and I to explore the board game community and have a little creative fun. For Cody I think that the idea of a blog came naturally. He has always been an avid writer, getting up early before work to scribble down his next big idea. As soon as I sucked him into the world of board gaming and showed him that it was more than okay to nerd out, it was just a natural progress. Not to mention an excuse for him to buy more board games. For me, I think that it was a little more challenging. Unlike Cody, a blog never would have been a natural progression for me. I had been board gaming for a couple of years, but didn't participate much in the broader community or think that I could possibility contribute anything. But boy was I wrong. What started as an experiment has quickly become much more significant. By creating this blog we have challenged ourselves to be more involved, try new things, meet new people, and be more critical. Before we started this blog we had very little contact with the larger board gaming community. We would watch the occasional board game review or top ten video (Dice Tower mostly), use BGG to look up board game stats, and discuss gaming with friends but that was pretty much it. By starting this blog we have learned to be more critical of the games that we play, examining what makes a game great or what doesn't work, mechanics we love and some that just don't work. 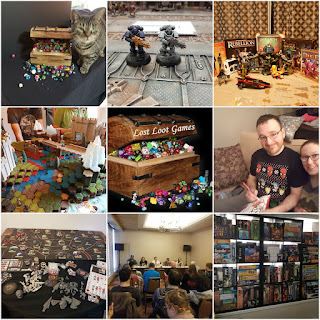 Since starting the blog, we have attended joined (and publish often) on social medial groups, attend games night at local game stores, attended breakout con, and funded multiple Kickstarter campaigns. We have even started to work on larger projects including a new segment on LGS of Ontario, board game design, and playtestings and previewing new games. All in all, starting this blog has been a great experience for both of us and we can't wait to produce even more great content. While we don't have the experience of a seasoned bloggers, I think that we can offer helpful advice with a unique perspective on new and old board game topics. Weather you are looking for a helpful review, what not to do when designing a board game, or what kickstarter looks interesting this week, Lost Loot Games will be here providing a helpful hand to new and experienced gamers.